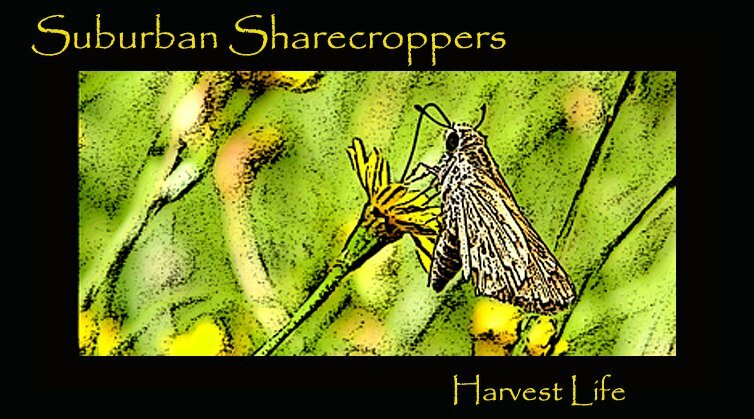 Suburban Sharecroppers: Change of Plans? Here's the deal...as much as we are excited about our half-acre...we're also feeling quite overwhelmed by the prospect of 'starting over'. It's a huge undertaking and we are stepping back for a few weeks or so to make sure we are up to the task. We are by no means giving up our plan to become self-sustaining, just not sure this is the way to go about. We've been mulling over some ideas that would be smaller in scale and a bit closer to home (walking distance). We have a neighbor whose entire back yard is barren. She loves my garden but just doesn't have the time or the inclination to do much beyond a few flowers in her front bed. We may talk to her about the sharecropping idea....use of her yard for fresh veggies all year long. It would mean walking across the street rather than driving or biking the mile and a half to Anns. The yard is fenced, so we would only have to fence a portion of it to keep out the dog. She and I get along great....and I know she would appreciate fresh veggies....she loves getting salsa and tomatoes from us every summer. Lots to think about....lots to pray about...stay tuned. Having a garden within walking distance sounds like a much better plan to me. You know, I just never thought about the enormity of 1/2 an acre. It really hit us when we were staking it....and when we started to think smaller it hit us how many people have unused yards and how much more convenient this project would be if it was closer to home. I think a lot of people, especially elderly, would love the idea of a garden that they could putter in but not have to do the heavy jobs. We are investigating the practicality of this from our standpoint and if there is a 'market' for our services....stay tuned. Baby steps, baby steps. :) Our backyard was completely bare except for one tree when we moved in -- and completely overwhelming. I was busy working, then having babies, and my hubby was gone a lot and not very interested in gardening.